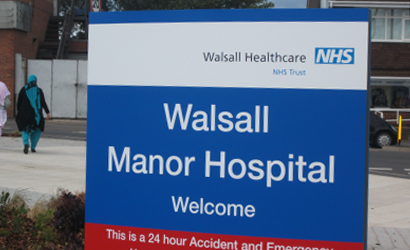 Dr David Drew, a former clinical director at Walsall Manor Hospital and a Christian, was dismissed in December 2010 after sending communications to his colleagues with religious content. This was after raising a series of concerns about the quality of care that the hospital had administered over several years before that. His final appeal against dismissal was rejected by an Employment Tribunal last month. A more detailed account of the appalling treatment he received over the last few years is documented in yesterday’s blog post: Why one Christian doctor’s attempts to highlight failures cost him his job. These experiences have been drawn together by Dr Drew in a new book, to be published in the coming months entitled Little Stories of Life and Death @NHSWhistleblowr (@NHSWhistleblowr is Dr Drew’s Twitter username). Today a chapter is published below. Entitled Dr Drew the Religious Bigot, it focuses on how David Drew’s faith informed his work and how it was used against him to force him out of his job. There are some references to events covered in earlier chapters, but this should not distract from the main thrust of the narrative. A ‘cast of characters’ has been added at the end so that the roles of those mentioned can be identified. Many thanks to David for allowing his work to be published here. Attributed to Francis of Assisi. The restrictions imposed on me by Naj Rashid’s investigation and Nadeem Moghal’s Review would have been understandable if I had been a tub thumping, in-your-face, religious zealot. But I was not. I am not. A clear implication of the instructions was that I force my religious beliefs on others. I never have; that would be stupid. Another implication was that I was such a religious loud mouth that I had to be shut up. The final basis for the instructions was more explicit and was contained in Nadeem Moghal’s later written clarification. I was, according to him, quite simply a religious bigot. I am a Christian, a quiet Christian. I prefer to think of myself as a Christian with questions. I am agnostic on some things but committed to the central doctrines of the Christian faith around the person and life of Christ. I believe the Christian faith is true, not just for Christians but for everyone. My position is that of St Paul. When asked by Herod Agrippa if Paul wanted to make the King a Christian he replied, “Yes, you and everybody else.” If Christianity is true Christians will of course want others to share it. From the beginning the proclamation of forgiveness in Christ has been known as Good News, the Gospel. I am not an evangelist or a preacher or a bible teacher. I do not have the gifts or training for that. I am a doctor. I have tried in my working life to express my faith by doing a good job, by being diligent, knowledgeable and compassionate. I don’t think in our culture anyone is attracted to Christianity by hearing it shouted from the rooftops. I have always been careful not to abuse my position as a senior doctor to communicate my faith. I have always taken the Franciscan line and tried to model Christ in my behaviour. I have failed of course. But the central theme of Christianity has been my anchor; forgiveness. Every day is a new start. When I was interviewed for my consultant post in Walsall in 1992 the British Paediatric Association (later to become the Royal College of Paediatrics) sent an adviser. He was Dr Paul Rayner, an endocrine consultant at Birmingham Children’s Hospital. After being offered the job I told the committee that I had an interview at another hospital the following week. “What’s up David, don’t you think Walsall needs a missionary?” asked Paul. The committee, including the Chief Executive, John Rostill, laughed. They agreed to hold the post open until I made a decision. As it turned out Walsall was the place for me. 20 years later an employment tribunal in a written judgement decided that it was not acceptable for me to identify myself as a Christian in my workplace. To use the words “As a Christian” was unnecessary and unacceptable. That was quite a culture shift; one which Sue James and Nadeem Moghal both approved of. For many years I was the only white and only Christian consultant in the paediatric department at Walsall. The others were variously Muslim, Hindu or Atheist. There was no-one who didn’t have some view on faith. I always counted discussions about such things as an important part of getting to know my colleagues. The department was a hive of religious tolerance. Dr Muhammed was fond of ending conversations with, “The Lord will tell us who is right one day David. Me.” I always appreciated his religion spiced with humour. He quite often at the end of a talk put a slide up which said, “Only God Knows Everything.” That to me was an excellent reminder of the Socratic position which should keep us humble. Difficult ethical decisions, for example at the end of life, often involved a religious perspective. Dr Muhammed’s input with Muslim families was invaluable. Colleagues gave interesting lunch-time talks on visits to Indian Christian mission hospitals or medical aspects of the Hajj or once, even, a meta-analysis of the efficacy of prayer. These all broadened our outlook and in multicultural Walsall made us better doctors. I was surprised at how often I was asked by parents about Christianity. Word gets around about a Christian doctor. We all engaged in some way in the main festivals. Cards were given and received at Christmas. I covered Muslim colleagues in Ramadan and went to break fast with them. We all enjoyed sumptuous feasts at the Hindu Festival of Lights, Divali. I went to the Guru Nanak Sikh temple, Hindu temples and Mosques. I never learned as much about other religions as I intended. Mostly I was interested in the lives of others. From 1992 to 2009 we never had a quarrel or a cross word on the subject of religion. Everyone was too grown-up and respectful for that. But in 2008 following my exclusion the Trust’s interest in my faith and how I expressed it in the hospital developed into a war zone. This was driven by two people, Sue James and later on Nadeem Moghal with a help from the head of HR and some hostile middle managers. None of them had any religious belief as far as I know. Sue James showed an appalling ignorance of religion and that to some extent explained her inability to accept the possibility that her behaviour was discriminatory. Nadeem was different. He wanted a secular NHS. “Keep your religion out of the workplace, David.” was one of the first instructions he gave me after he arrived. “No crosses at work. The law lords have decided.” That my faith was a major part of my identity and informed much of my professionalism seemed to be lost on him. It was virtually impossible for me to determine where his intolerance came from. He was a closed person. He refused to engage on matters which had been part of normal conversation in the department. The first hint of trouble came on 25 September 2009 when I met Mike Browne with Ian Mckivett to hear the result of Naj Rashid’s investigation. I was told in the now infamous Recommendation 6.5, “Dr Drew should accept that his own wider personal views and religious beliefs should be kept to himself and should not be imposed on others.” This was the first we had heard about religion. Ian called it discriminatory from the start. Mike Browne refused to help find out what underlay it. Thought I would encourage you with this prayer from St Ignatius Loyola the founding father of the counter-reformation and the Jesuits. I find this a personal inspiration in my frail imperfect efforts to serve my patients, their families and our department. Hope you can find something in it too. We had just been in a difficult job planning meeting. The prayer is a classic. It is possibly the most beautiful expression of selfless service in the English language. Its theme is that the act of service, the satisfaction gained from service, is in itself our real reward. It perfectly expresses the spirit of idealism on which the NHS has been built. But who was I to quarrel with Naj Rashid or Jon Pepper or Rob Hodgkiss who all found it “inappropriate.” Trust management had formally accepted that I was imposing my religious views on colleagues and it must stop. In fact my colleagues had received the prayer and expressed gratitude to me for drawing it to their attention. Dr Gatrad, a Muslim, wrote, “Thanks David, This is lovely and thought provoking. Rashid” Dr Satish wrote, “Dear David, as an atheist, let me write to say that I did not find your e-mail objectionable. I concur with Mike Browne and find it refreshing. I am sorry that it has been blown out of proportion. Satish” Other consultants told me that they remembered the prayer from school and were glad to be reminded of it. Of course I wanted to know who said what and what their evidence was for it. It would also have been useful to know why. Sue James’s view was quite clearly that I had no right to this. In a subsequent report to the Royal College Review panel the Trust reported my efforts to get this clarification as an “attempt to find and potentially harass a member of staff…..potentially a very serious disciplinary offence.” With the trust’s head of Human Resources capable of turning a legitimate attempt to get transparency into a blame and shame exercise what hope was there for the organisation’s culture. With the Chief Executive she had primary responsibility for modelling an open culture. Neither had any understanding of what this involved. Finally, after more wrangling Sue James did a volte-face. In December she wrote, “As I believe the report made clear, and Sue Wakeman and Mike have emphasised to you in your discussion on the outcome of the investigation, this issue was dismissed during the investigation.” This was totally untrue but I accepted it as a truce and laid the episode to rest. Three months later I was interviewed twice by Nadeem Moghal for the Review. I was asked one brief question about the use of religious language at work. I said it was impossible for a native English person not to use religious references. They are deeply embedded in the language. No more. This was the only instruction I was given by the Review that I refused outright to accept pending evidence of my alleged wrongdoing. It took me a year to obtain documents using the Data Protection Act to understand how the Review could have come to such a ludicrous conclusion. The Trust had produced by January 2010 a 16 page statement of case for the Review with contributions from Sue James, Sue Wakeman and Mike Browne. At every turn this statement casts me in the worst possible light. Nothing was too trivial to serve that purpose. Even a short email in which I apologised for a moment of bad temper was cited as an example of my communication problems, concentrating on the “temper” but ignoring the apology. The statement is full of inaccuracies and untruths and spin. It ascribes ulterior motives to the most reasonable of actions. Well before this statement was completed Sue James had written to me to say that the issue of religious misbehaviour had been dropped. But within weeks the allegations of religious misbehaviour were being kept alive in the trust statement to the Review; a statement which I was not allowed to see. The St Ignatius prayer is cited in the statement as “a prayer circulated to colleagues for no apparent reason.” I had made the reason perfectly clear. Mike Browne’s email commending my use of the prayer was said to be “unhelpful, in that it might reasonably be viewed by David Drew as approving his circulation of an unsolicited prayer.” The report also refers to two managers “objecting in their statements to my “use of prayers. The case investigator, Mr Rashid, concurred with their views. Mike Browne had accepted recommendation 6.5. that David Drew should stop imposing his religious views on others” This was exactly the opposite of what Sue James had written to me weeks earlier. She had claimed the matter had been dropped. Both the Trust and the Review concealed the existence of this statement from me. Sixteen pages of weasel words had been composed by three senior managers who were more intent on destroying me than helping the Review panel get at the truth. Nadeem arrived as head of department in June. His position was that all witnesses were given “a cast-iron guarantee of non attribution” and I would not be able to interrogate the evidence. He claimed not to be able to remember what had been said by some witnesses and there was no extant record of their oral evidence. It was not until I saw his August statement to Julia Hollywood the investigator in my disciplinary procedure that I began to understand the basis of his instruction. Nadeem told Julia that the panel had “examined Naj Rashid’s recommendation 6.5 and considered it valid.” The fact that the prayer had found universal acceptance by its recipients, that there had been a mild expression of distaste by two conflicted managers who it had not been sent to and that Sue James had withdrawn recommendation 6.5 months earlier in writing was of no importance. And since I was unaware that religion was an issue I had of course not raised it myself. Even Julia Hollywood was not allowed to see Sue James email withdrawing 6.5. Quite a stitch up; but so well crafted that it cannot have been other than by design. Nadeem continued in his statement, “People had said to the Review panel that David Drew has a habit of saying at meetings, “I am a Christian therefore…” which in my view was placing himself in a different context. David Drew complained that there had been no earlier complaints about this. This was not altogether surprising as these are difficult matters to raise openly. The confidentiality of the report and the guarantee of non-attribution of comments allowed people to say things that would be too sensitive to voice openly to David Drew.” In Nadeem’s view in referring to myself as a Christian I was claiming a higher value for my opinions. That is the essence of bigotry. He had arrived at this view, and used it in the investigation against me, without even discussing it with me. I knew the evidence this was based on was untrue. I suspected that it came, once again, from hostile middle managers. The query about religious views was made in context of inappropriate emails. There have been several meetings where David has put his hand on his heart and said, “I am a Christian” thereby implying that he is speaking the truth. He has sent a prayer to Rob by email. And this is one more example of what is written. This was specifically untrue. I am not in the habit of going around saying I am a Christian. That is known by everyone I work with. I do not use the gesture described. If I did there would be nothing wrong with that. It was once a cultural norm to speak “as a Christian and a gentleman.” Jesus specifically instructs us to let “yes” be “yes” and let “no” be “no.” I do that. In Nadeem’s later statement to Julia Hollywood he converts Jon’s “several meetings” to “David Drew has a habit of saying at meetings.” What I knew I never did, Jon reported I had done at several meetings and Nadeem amplified into a habit. I had not encountered, in 40 years in medicine, any doctor so given to profane speech as Jon. And he was proud of it as I had heard him boast. Nadeem was the most zealous advocate of a completely secular NHS I had met. This was an unholy alliance and I was its quarry. And so I refused to accept the instructions given by Naj Rashid’s investigation and Nadeem Moghal’s Review. I was certain that my behaviour as a Christian in the workplace had been impeccable at all times. My Christian faith had made me a better employee, a more sensitive and caring doctor. It was an asset. I never at any time considered my views superior to those of others because I was a Christian. I had never caused offense and even the allegations made against me under the oath of non-attribution were trivial, untrue or vexatious. I had, according to Martin Brewer the Trust solicitor who constructed the charge sheet against me, failed to accept a reasonable and lawful instruction. Neither I nor my advisors thought this instruction reasonable or lawful. I stood to be dismissed under employment law for Some Other Substantial Reason (SOSR) solely because I refused to submit to this tyranny. Naj Rashid — A&E consultant. Investigator of allegations resulting in Dr Drew’s exclusion. Sue James — CEO Walsall Healthcare NHS Trust 2003 to 2010. Nadeem Moghal — Chair of RCPCH Independent Review of Paediatrics (IRP), Walsall, 2010. Dr Muhammed — esteemed Muslim paediatric consultant colleague. Ian Mckivett — Industrial Relations Officer, British Medical Association. Mike Brown — Medical Director Walsall until 2010. Early retirement. Sue Wakeman — Director of Human Resources, Walsall. Jon Pepper — Gynaecologist inappropriately appointed as head of paediatric department by trust executive in judgement of IRP. Rob Hodgkiss — Non-medical manager of women and children’s services. Dr Gatrad — esteemed Muslim Paediatric consultant colleague. Dr Satish — esteemed paediatric consultant colleague. Self-describes in quote as atheist. Julia Hollywood — external investigator to Dr Drew’s disciplinary procedure. Sandra (in email to Jon Pepper) — Sandra Burns, HR adviser to Naj Rashid in his investigation. Martin Brewer — Trust solicitor.